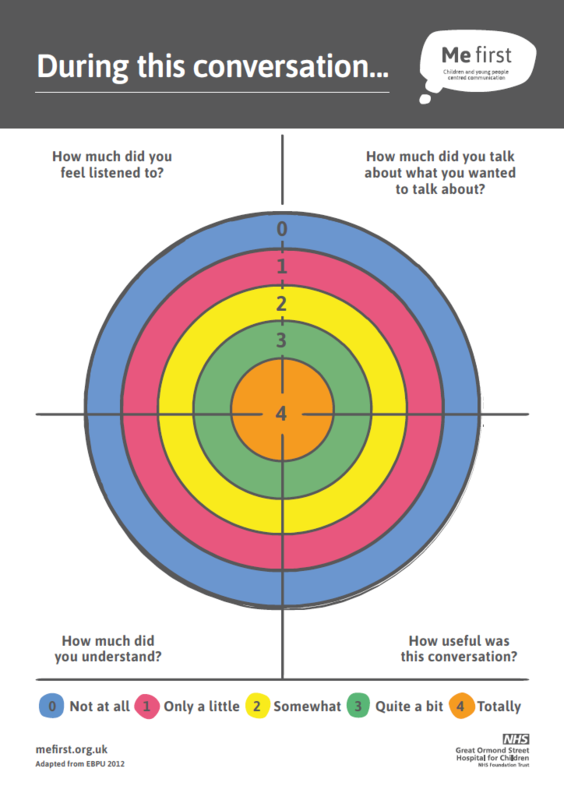 This resource can be used by health and care professionals during interactions with children and young people, to gain feedback on how useful the interaction has been. How much they got to talk about what they wanted to talk about. This resource has been adapted by Me first, from the Evidence Based Practice Unit Bullseye feedback tool, 2012.